The concept of apprenticeships, how they are structured, and how apprenticeships have been integrated into the “workable education model” in Florida has been an ongoing discussion in past editions of the FLATE Focus. 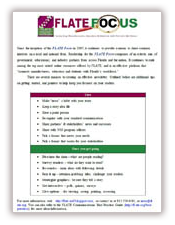 In the June 2013 edition of the FLATE Focus, Executive Director of FLATE, Dr. Marilyn Barger took an initial look at the terms of engagement for apprenticeship programs from a broader perspective. A year later, Dr. Barger discussed the role of apprenticeships in addressing the workforce skills gap. Indeed this is a relevant topic in terms of the workforce needs and technician education and training in Florida, and we are revisiting this topic this month as we assess current apprentice programs across the sunshine state. The primary purpose of apprenticeships is to enable employers to develop and apply industry recognized standards to training programs. The intention is to increase productivity, improve the quality of the workforce, retain tribal knowledge and to reduce turnover. Apprentice programs are administered either by the Office of Apprenticeships (OA) or by the SAA which is the State Apprenticeship Agency. OA’s are state-led programs run and managed by the United States Department of Labor (US DOL). 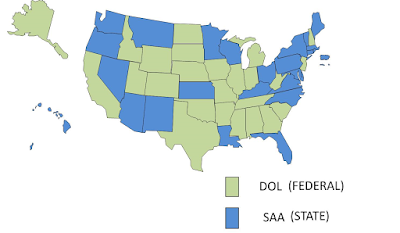 The SAA structure that is implemented in Florida, holds responsibility and accountability for apprenticeships at the state level and is recognized by the US DOL to register and oversee apprenticeship programs and agreements for federal purposes. 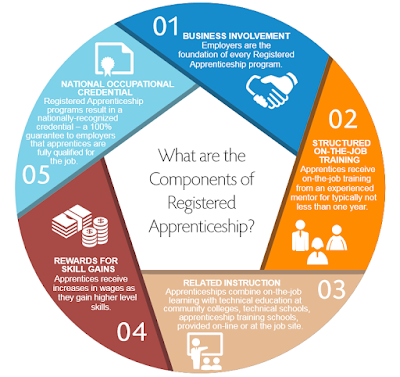 There are five essential components of registered apprenticeships. They include a strong business involvement; structured on-the-job training; related/corresponding instruction; rewards for skill gains, and a national occupational credential that guarantees apprentices are 100% qualified for the job. Trade associations, local workforce boards, single employers, educational institutions, community, or faith-based organizations are some of the entities that are approved to sponsor an apprentice. 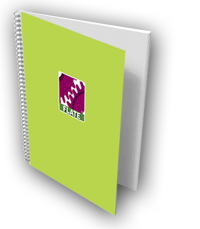 The length of apprenticeships varies from one to five years depending on the occupation training requirements. Time-Based apprenticeships complete a required number of hours in “On-The-Job” training. Competency-based apprenticeships progress at their own pace whereby apprentices demonstrate competency in skills and knowledge through proficiency test and applied practice validated by a supervisor, mentor, or journey worker. Hybrid apprenticeships use the minimum and maximum range of hours and require a successful demonstration of identified measured competencies. There is also the Career Lattice model that uses an interim credential to validate progression through a registered apprenticeship program within competency, or hybrid based models ONLY. Between January 1 and December 31, 2018, there are over 12,000 apprentices in Florida enrolled in 213 active programs. Of the 12,000 apprentices, approximately 1,400 completed their programs during this time span. In 2018 there were over 5,000 new apprentices with a total of 26 new registered apprenticeship programs and three new pre-apprenticeship programs registered in Florida. According to FLDOE the top two apprenticeship programs at the secondary level and at Florida colleges is the Electrician and the Air Conditioning, Refrigeration, and Heating Technology programs. Other popular programs include Plumbing Technology, Carpentry, Early Childhood Education Fire Fighter/Fire Sprinkler System Technology and Sheet Metal Fabrication Technology. For the full list of apprenticeships in Florida, visit www.FLDOE.org. In terms of manufacturing apprenticeships, there are nearly 200 students enrolled in various apprenticeship programs across Florida, most of which are related to machining. Tampa Bay Machining in Clearwater, FL, offers the top number of different apprenticeship programs across the state and has a total of 18 students enrolled in their 10 programs. Jacksonville Electric Authority (JEA) has the highest number of apprentices (59) currently enrolled in any manufacturing-related program (59 in their Maintenance Mechanic Apprenticeship). Other organizations offering apprenticeships supporting manufacturing include AmSkills in New Port Richey, South Florida Manufacturers Association in Fort Lauderdale, Treasure Coast Manufacturers Association in Port St. Lucie, Miami Dade College in Miami, CareerSource Suncoast in East Bradenton, St. Petersburg College in St. Petersburg, Baker-Hughes in Jacksonville, Arthrex Manufacturing in Ave Maria etc. See the full list of manufacturing apprenticeships programs across Florida and their enrollment. Florida employers can participate in an existing program, or can work with Apprenticeship Training Representatives to develop a new program. Interested employers should contact their assigned regional representative within the Division of Career and Adult Education. A full listing of regional representatives by service region is listed in the adjacent graphic or contact Ted Norman, program director at FL DOE at richard.norman@fldoe.org, or at 850.245.9039. You can also visit http://www.fldoe.org/academics/career-adult-edu/apprenticeship-programs. For information on the Florida Engineering Technology Forum and its role in defining curriculum alignments for manufacturing apprenticeships across Florida contact Dr. Marilyn Barger, Executive Director of FLATE at barger@fl-ate.org, or at 813.259.6578.